I think this is one of my very favorite projects. 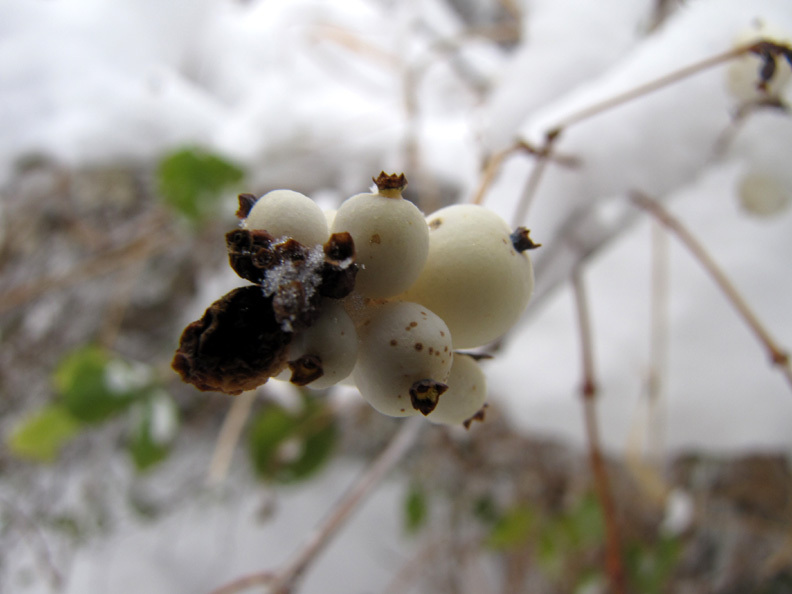 You'll need small and large containers, cold, something heavy, and bits from nature. The Gathering is a favorite part, to be sure. For the containers, you can use buckets, the bottoms of orange juice or milk cartons, bowls... whatever you have on hand-- just make sure there are no ripples or any lines to keep your ice from flowing freely out of the container. 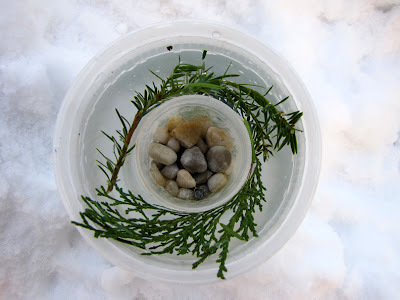 Weigh down your inner container with something heavy (rocks, marbles, whatever) and then pour water into your outside container. Set them outside to freeze. When they're frozen throughout (possibly it will take 24 hours), bring them in and empty your inner container of its weights, then run hot water on the outside container until the ice is released from the container. Do the same thing for the inner container- place hot water inside so it will release from the ice surrounding it. 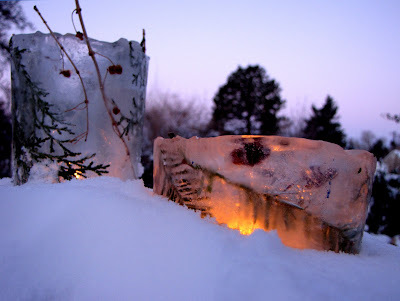 I planned to use tealights, so I wanted a 'shelf' in the ice ring to place my candle upon, so I filled it with a couple inches of water (depending on the height of the lantern) and then placed it back outside to freeze. note: if it's a 'ring' only (there is no bottom for the candle) and you want a shelf, just put the whole thing back into it's original container, and fill it up with water until the 'shelf' will be at the desired height. Then place it outside to freeze. You could do this the opposite way too - first filling an empty container with a couple inches of water (and pines, holly, and berries) and letting it freeze, then bringing it inside to put in the smaller container and the rest of the embellishments. Then of course put it back outside to finish freezing the lantern. I am so thoroughly charmed by this project, and have decided that this will definitely be a part of our Solstice celebrations every year. I remember seeing this exact thing in Martha Stewart years ago and have wanted to try it FOREVER. Yours are so pretty. 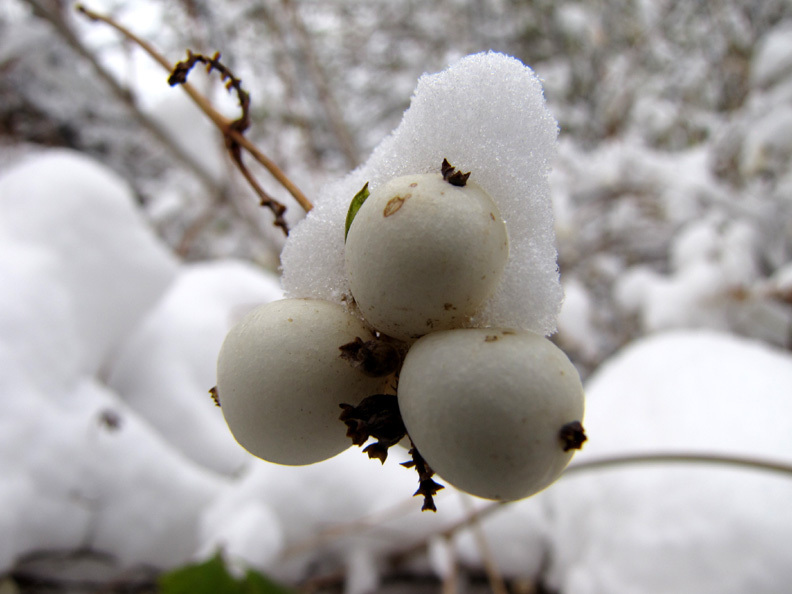 Sadly, still not cold enough for snow here. Perhaps I'll use my freezer. Thanks for reminding me of this project. SO fun. 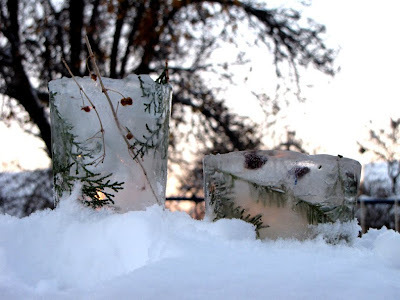 Such a good idea and my ice obsessed children will adore making these...I just hope our freezing weather holds long enough to make them. These must have been so much fun to make. I agree that it is often the gathering of materials which can be one of the best parts. We have a similar ice craft we have been waiting since spring to try. Our weather is getting colder so the time is coming. Enjoy a wonderful thanksgiving weekend and thank you, dear mama, for all you give and share with us! Ohhh, lovely! Thanks, Stephanie! You're such an inspiration, always! These are so beautiful! We will certainly be making them! They are perfect for Solstice and I think we'll include them in our celebration too! Love love love those! I can't wait to do them! Are you going to post your advent calendar list again this year. I am trying to make a homemade one and need ideas(hint hint) also ideas for the activities. I look forward to reading a ll the wonderful Christmas/solstice fun that you make with your kiddos. Oh I want to try this today!! We have no cold though. It was 84 again yesterday. But, I do have the freezer so we will give a whirl. I want to do the mittens too. Stephinie, you are a goldmine of ideas :). Have a great weekend! It turned out so beautiful. Love the photos!! They are stunning and ideal for Solstice! I'm inspired - this will be fun to do with the kids. these are lovely! thanks so much for sharing. Utterly fantastic! 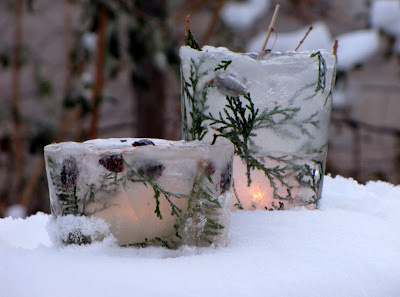 I'd blogged earlier this week about ice decorations but this is extra special. I'm inspired! Thanks! Oh my goodness, those are stunning! Really brilliant. Hello I'm visiting from Friday's Nature Table. Love your lanterns. We just made some of these a few weeks ago but they're still in the freezer as our weather has warmed up too much to put them out at the moment! I've never seen these before. What a beautiful, beautiful idea! 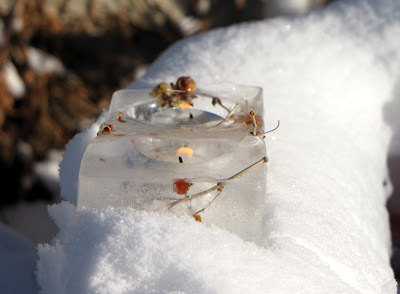 Its pure magic seeing the flame glowing through the ice! What other ideas would you have for solstice? We are planning on making a sun cake and decorating a yule log so far. 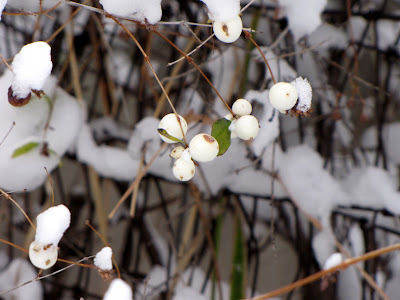 I'm loving this season! 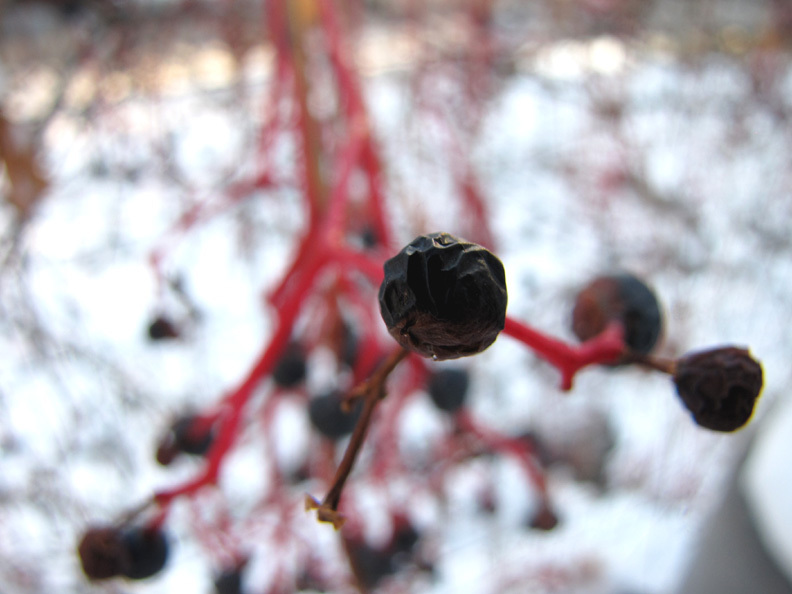 Our 24 Days list is here, there are a some Solstice things on it. Aside from the list, I believe we'll make Sun Paper art again this year. oooh thanks! I don't know how I missed that post. What a wonderful list! I'm afraid that we won't have as many random containers laying around as I'd like. In my dream world we'd make a ton of these. So lovely. Thanks a bunch for the inspiration!!! gorgeous! i wish we had had the weather to do this today. a lovely solstice activity, for sure. happy solstice! I just love these, they are so beautiful and fun! 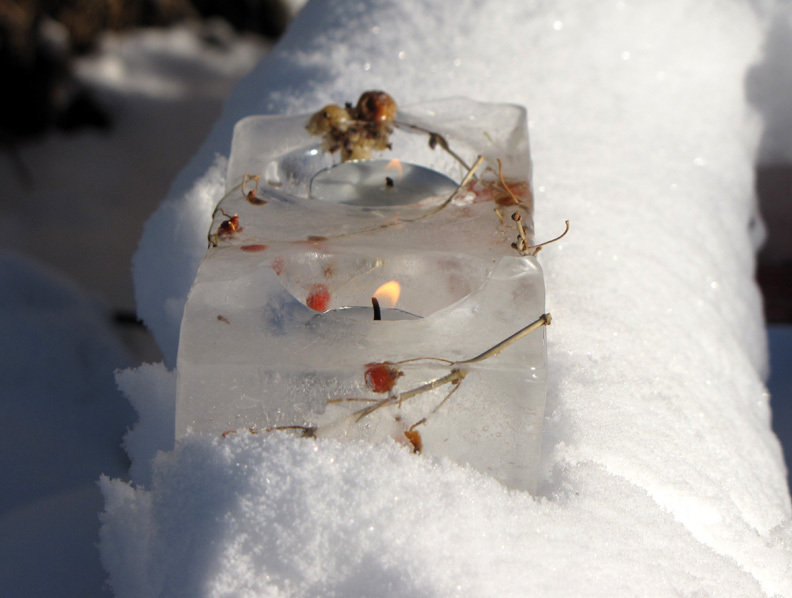 I'm making them this week with freezing cold weather and heaps of snow, a little light in the ice surrounding by plant life is warming! I Thank you for the lovely walk through! These are so amazing to look at! They are very ethereal winter decorations.